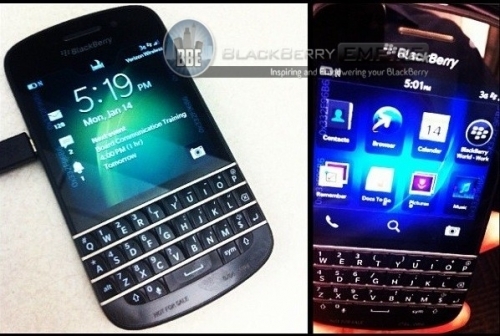 BlackBerry 10 QWERTY photos leaked | BlackBerry Blast! More leaked photos came out today ahead of BlackBerry 10's launch. This time the photos are of a BlackBerry 10 device with QWERTY keyboard. This device will supposedly be called the X10, but that's not confirmed at this point. The new BB10 QWERTY device looks like a BlackBerry Bold 9900 with a very flat design. The X10 will have a touchscreen in addition to the QWERTY keyboard. Look for this phone to be announced on January 30 at the big BB10 launch event.